Criteria: The focus of the Award is on photos or short videos produced by anyone that tell something about “ALLeGRO! 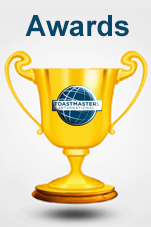 Toastmasters Floating Academy”, the new Toastmasters experience (e.g. collected information, expectations, personal imaginary about it). The idea is to use this contest to learn how to build promotional images or video to promote an event. First Impression – does the image/video grab your attention and makes you want to be on the cruise? Logo – was ALLeGRO logo well integrated with the images? Slogan or tagline – have the creator inserted an original slogan or tagline too? Public evaluation (80%) – likes and shares will tell us how much the public appreciated the images. Each “like” will sum 1 point: be careful if you share the post you have to ask to put the like on the event’s page where the image/video was originally posted, not on the link on your timeline etc. Anyone can propose only one video/photo. Photos/videos will be eligible for evaluation and the award if they respect the criteria above and have reached a basic score of 35 points. The creators of the first 10 best images will receive an award. Deadline: Only videos published between 20th April 2018 and 30th May 2018 will be considered (re-extended to 18th of July as the registration deadline). 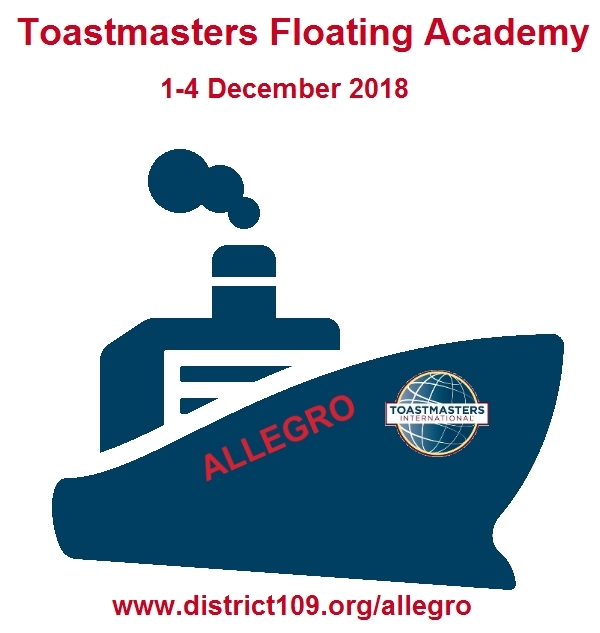 IMPORTANT: In order to participate in this contest, you should publish the photo/video on the Facebook page “Allegro – Toastmasters Floating Academy” and use #ALLeGRO!TFA hashtag in the description of your post. The link to the publication should be then sent to allegrocruise2018@gmail.com too. Please note that we will only consider videos that have been published! The winners will be announced end of October 2018.